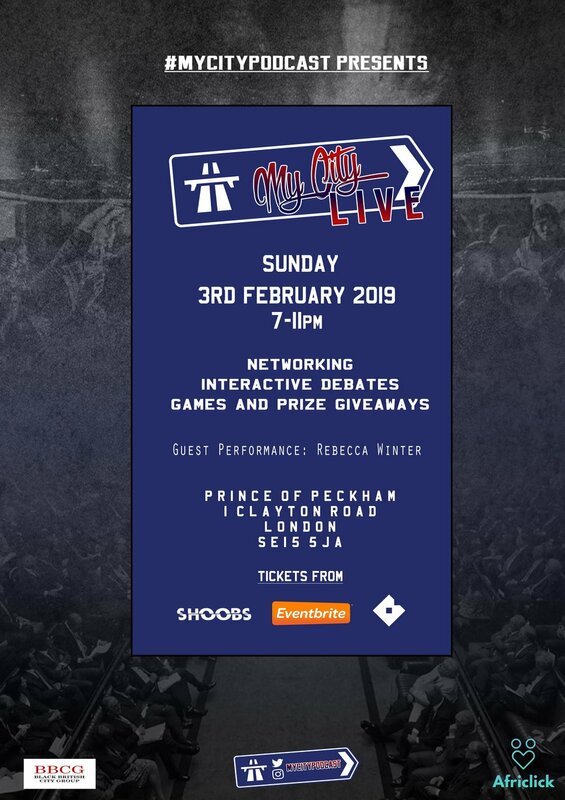 #MyCityPodcast is hosting a live version of their insightful podcast at Prince of Peckham on Sunday 3rd February 2019. "We considered other venues but kicking off #MyCityLive in South London feels like we've come full circle, it's 'Our City'," said Sam Aluko, Co-Founder. The podcast aims to tackle topics and challenges faced by Black Londoners - by providing authentic solutions through spotlighting of successful Londoners in a range of different industries. "We talk about serious topics, in a very entertaining way. In a way that only we can," said Ire Adewolu, Co-Founder. Guests that have appeared on the podcast include Samuel Boateng, Yasmin Taylor and Starboy Willz. The event is sponsored by Africlick, BBCG and Bringz App and will consist of interactive discussions with topics voted for by attendees. Talented London-born R&B singer Rebecca Winter will also be performing on the night.